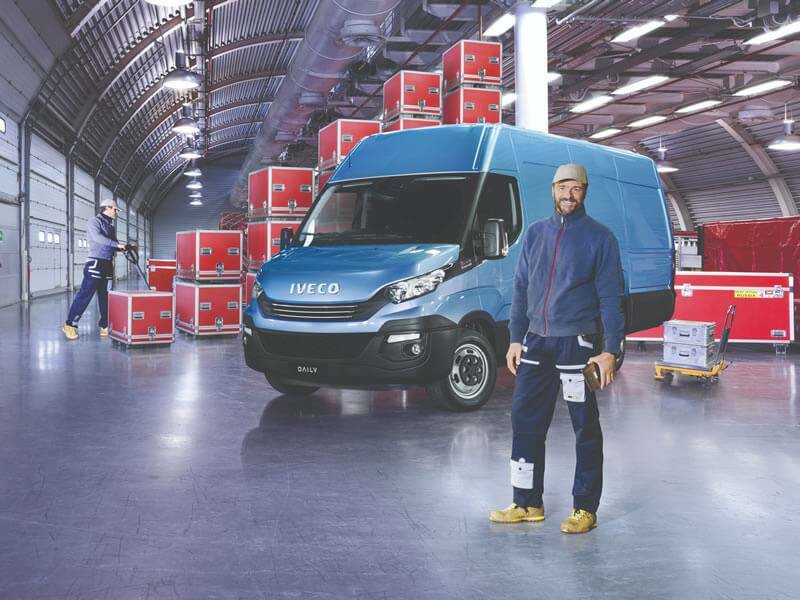 With class-leading payload, volume capacity, GVM, power and torque, and industry-leading 8-speed Hi-Matic full automatic transmission, it’s no surprise that the IVECO Daily has won a multitude of awards over the years including 'International Van of the Year - 2018' for its ‘Blue Power’ range. On offer in the van range are volume capacities spanning from 7.3 m3 to a market-leading 19.6 m3 and GVM ratings ranging from a passenger car licence 3800 kg to light truck 7000 kg - the highest GVM of any van in Australia. There are also a number of wheelbase choices from 3000 mm to 4100 mm and three roof heights allowing operators to select a specification to ideally suit the application. All vans are available with either a 6-speed synchromesh manual transmission or market-leading 8-speed full automatic transmission that can be coupled to a range of Euro 5 or Euro 6* turbodiesel engines with outputs from 126 hp / 320 Nm to a market-leading 205 hp / 470 Nm. 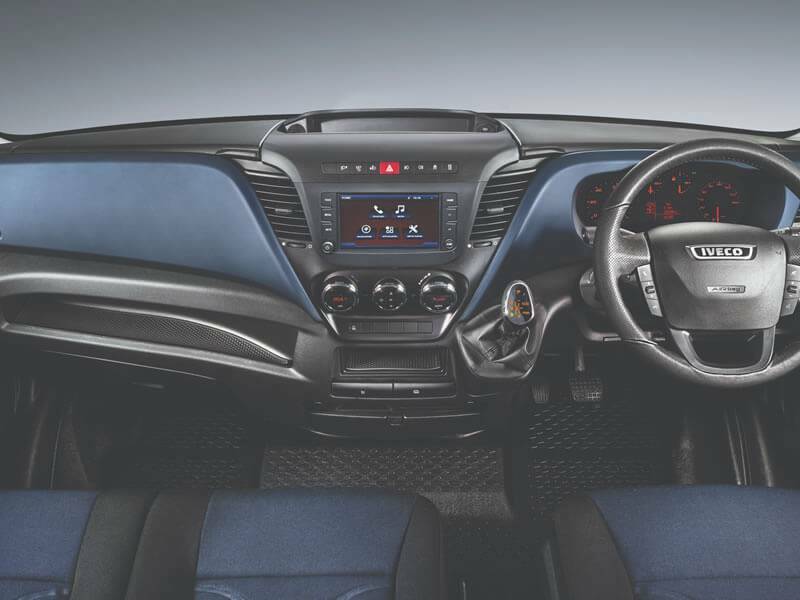 Standard safety features across the range include four SRS airbags, front and rear disc brakes with ABS and Electronic Stability Program, and IVECO ‘ESP 9’ safety package along with optional Lane Departure Warning system. 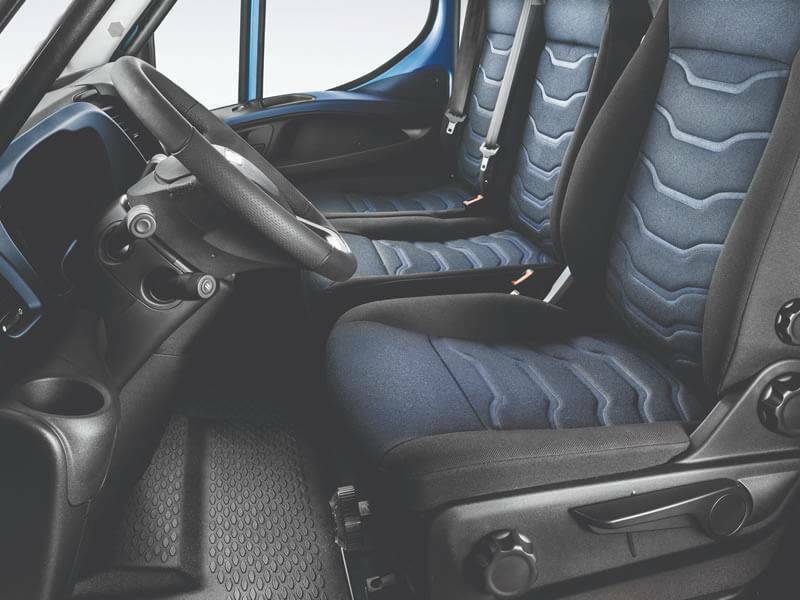 And now with the introduction of Iveco 'Business Premium', 'Comfort' and 'Efficiency' packs to the Daily range, it's easier and more cost effective to choose a Daily model to best suit the application. 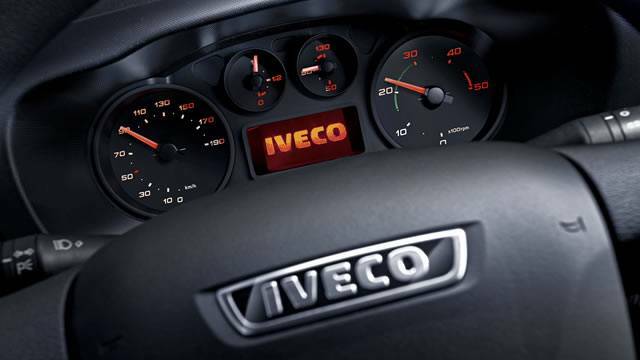 IVECO’s E5 engine range for Daily van and cab chassis models is extremely well-regarded in the commercial vehicle industry for combining high power output and fuel efficiency, as well as long service intervals. Powering the range are two core direct-injection Iveco diesel engines, a 2.3 and a 3.0 litre – all deliver market-leading power and torque outputs. The 2.3 litre powerplant features turbocharger with wastegate and intercooler producing 126 hp / 320 Nm. The 3.0 litre offering is also turbocharged but uses a variable geometry system and intercooler to produce power of 170 hp / 430 Nm. 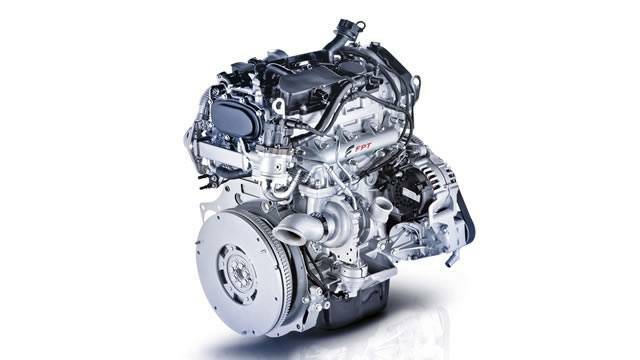 Also available is a twin turbo version of the 3.0 litre which offers increased power of 205 hp / 470 Nm.To meet stringent Euro 5 emissions standards, E5 Daily engine range employs an Exhaust Gas Recirculation (EGR) system. Both the Daily 70C van and Daily 4x4 feature Euro 6-rated, SCR (Selective Catalytic Reduction) engines. 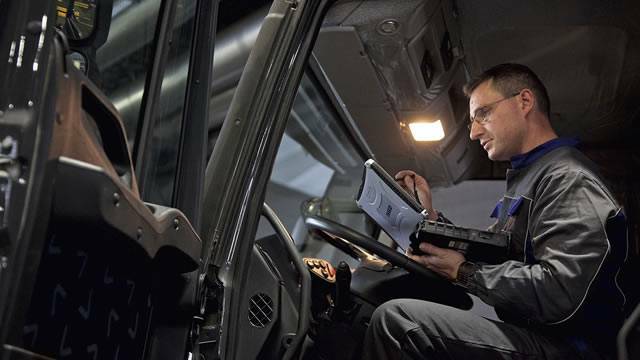 The SCR emission control system using urea solutions such as Adblue have been successfully and widely used by medium and heavy duty trucks for many years. 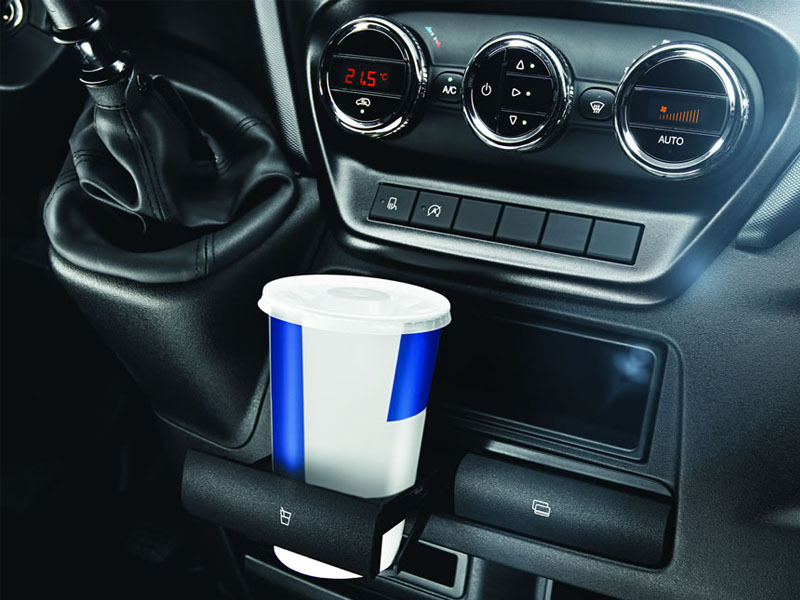 At its simplest, Adblue is injected into the hot exhaust stream and reacts with the harmful NOx (Nitrogen Oxides) to form harmless nitrogen and water vapour. The Euro 6 Daily vehicles are equipped with a 25 litre (nominal) AdBlue tank capacity and it’s estimated that the vehicle will consume three litres of AdBlue per 100 litres of diesel depending on conditions, this means the operator will only need to refill AdBlue every seven or eight tanks of diesel. AdBlue is widely available at petrol stations and it can also be purchased in containers and drums of various sizes for storage at depots or at the work site. The Daily features an industry-first 8-speed ‘Hi-Matic’ full automatic transmission that provides the operator with an effortless driving experience courtesy of a self-adaptive shift strategy that results in correct gear selection and shifts that take less than 200 milliseconds. The Hi-Matic used in the new Daily has been extensively tested for Australian climatic conditions and features a revised oil cooler for even stronger performance. To assist in reducing fuel consumption, the Hi-Matic features both ‘Eco’ and ‘Power’ modes. 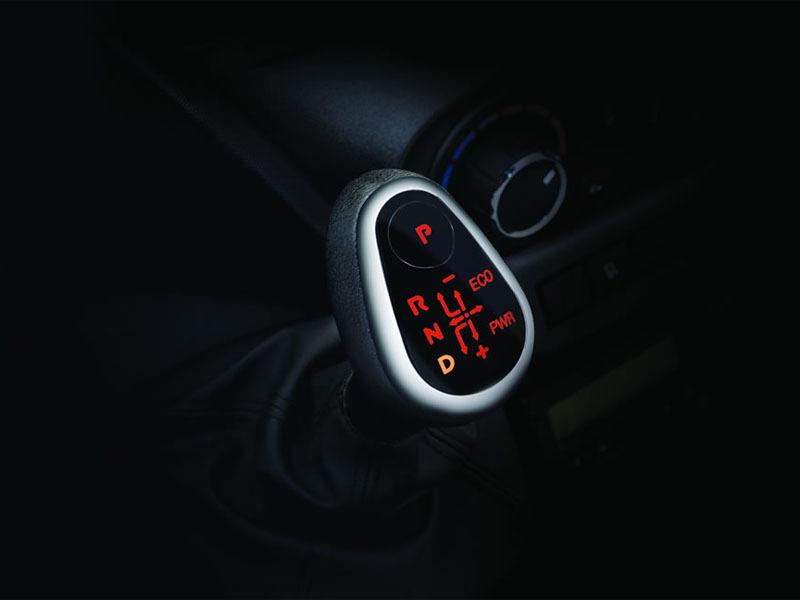 When Eco is selected, the transmission reduces torque limits, while Power Mode holds the vehicle in each gear for longer for even crisper acceleration should it be required. 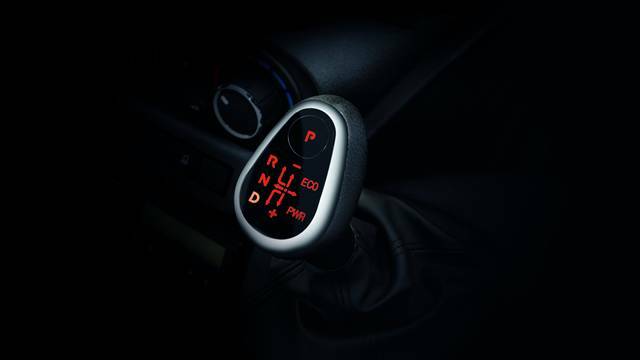 Additionally, thanks to its 8-speeds – the widest ratio spread of any automatic van transmission available in Australia – the engine will always be operating at its optimal speed. A 6-speed manual transmission is also available. With many Daily owners expected to spend long periods on the roads, IVECO have equipped the new model with an extensive array of standard active and passive safety features. While some light commercial vehicle competitors provide a front disc / rear drum brake set-up, the new Daily provides the superior stopping power of disc brakes ‘all-round’. Adding to the braking equation is ABS with EBD (Electronic Brake Force Distribution). Also standard on all models is IVECO’s ‘ESP 9’ safety package which includes Electronic Stability Control, Trailer Sway Mitigation, Anti Slip Regulator, Adaptive Load Control, Hydraulic Rear Wheel Boost, Hydraulic Fading Compensation, Roll Movement Intervention and Roll Over Mitigation. Passive safety features include driver, passenger and curtain airbags. All models are also equipped with low level fog lamps with cornering function. The cornering function automatically activates the fog lamps on bends casting light into the direction the driver is steering. It also engages once the indicator is applied. Operators wanting additional safety can select the optional Lane Departure Warning (LDW) system which uses radar to warn the driver if the vehicle is moving from its lane. The latest Daily range continues to offer a car-like driving position, superior handling and a high level of driver appointments, helping to reduce driver fatigue even after extended periods on the road. Insulation levels in the latest cabins have been increased resulting in a 4dB interior noise reduction and reduced vibration compared to its predecessor, wind noise has also been reduced by redesigning the B Pillar swabs and modifying the shape of the side mirrors to allow quieter airflow. 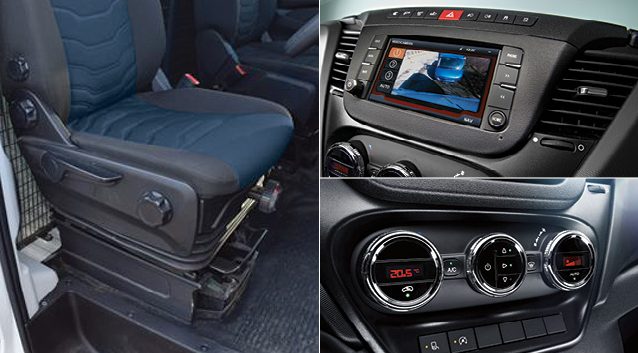 The Daily cabin features ample storage compartments, including a new dash central open storage area with USB sockets allowing convenient charging of mobile devices and tablets. Smoothing out the bumps is the locally tested front suspension which offers outstanding drivability, comfort and dynamic response, while guaranteeing maximum stability on Australian roads. The rear suspension has been calibrated to control over-steering, providing outstanding vibration dampening and driving stability even on the most demanding roads. An optional rear pneumatic air suspension is also available providing a more supple ride for occupants while better protecting fragile and load-sensitive cargo. 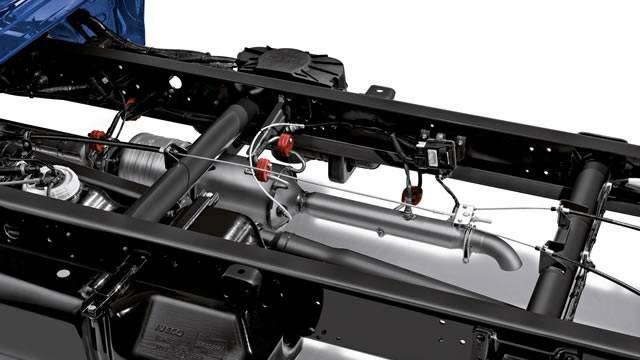 IVECO has maintained the Daily’s strong truck-like solid steel C-section chassis. This approach is unique to the new Daily and sets it apart from vans developed with car-derived underpinnings. The result is a robust load-bearing chassis that allows for greater load capacities and has made it possible to optimise load-carrying ability across the range. A solid chassis also increases the vehicles’ durability and makes them suitable for a broader range of applications both in van and cab chassis variants. Payload is an important factor when selecting a light commercial vehicle and the new range delivers in spades with GVMs of up to 7 tonnes and payloads of up to 4.7 tonnes. Volumetric load capacities have also been optimised and range between 9 to 19.6 m³. The 18 and 19.6 m³ models offer best-in-class volume. The van is also available in three internal heights: 1545, 1900 and 2100mm and with a 8 rear axle ratios on offer there’s plenty of choice depending on the application. An optional rear differential lock is available on all models. Another clever introduction is a load platform that is now 55mm lower than the preceding models – one of the lowest of all rear-wheel drive vans. A lower load platform means less effort is required by the operator to manually load and unload the van. A further advantage can be gained by opting for rear air suspension – available across the range – which further lowers the height. Access to the load space is via a side sliding door and rear ‘barn’ doors. The rear doors provide full 270° opening. 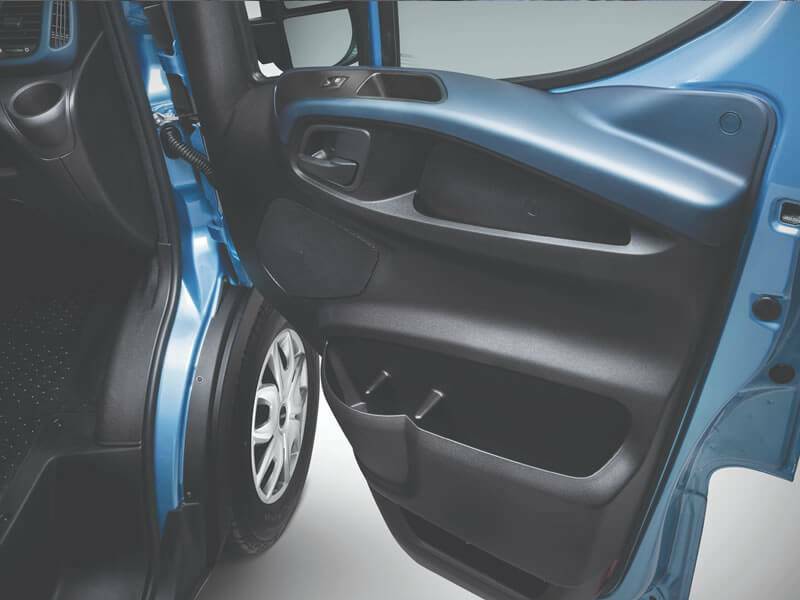 The rear doors incorporate stop devices to hold them at 90°, 180° and when fully opened – the driver can even reverse into tight loading bays with the doors fully opened. Couriers, refrigerated and non-refrigerated vans are responsible for delivering a broad range of goods and consumables all around our cities and towns. Payload, driver comfort and safety are important considerations for these tasks. 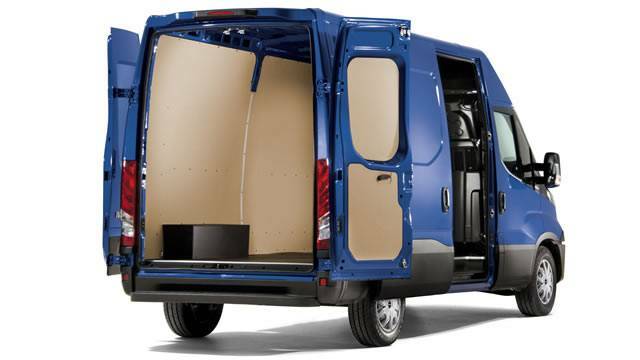 Depending on the application, there is a Daily van to suit all manner of delivery work. 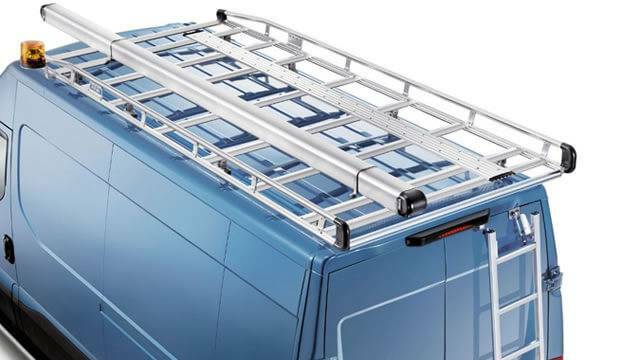 Tradespeople and contractors are eager users of commercial vehicles – the Daily range provides a wide selection of wheelbases, GVM and volume options as well as roof heights, making them ideal for trades who want a fully enclosed vehicle to house and transport their materials and tools. From food truck operators to pet groomers or motorcycle transporters, the Daily provides the versatility no matter what the application. With its many market-leading features the Daily range is being put to work around Australia across all sorts of industry sectors, from the commonplace to the unique. The new Daily is modern, sleek and aesthetically-pleasing while keeping functionality in mind. The distinctive angled headlamps are positioned high up on the cabin and set-back to minimise damage from minor knocks. A hardwearing strip along the base of the bodywork similarly protects against minor knocks and the rounded bonnet is generously proportioned providing improved aerodynamics while allowing easy engine access at service time. 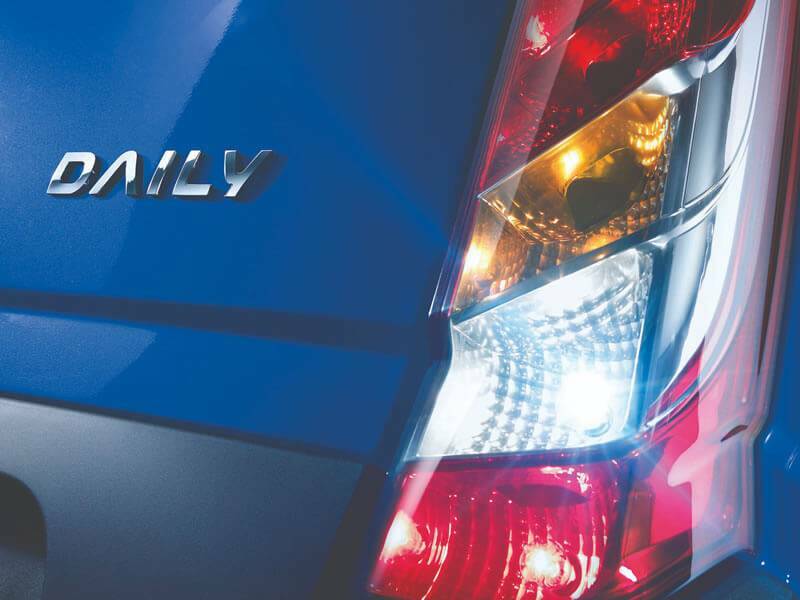 The Daily’s low fuel consumption is achieved through a combination of features. The engines themselves now use low friction piston rings and higher grade engines oils. The new range is backed by a 3-year / 200,000km standard warranty and boasts 40,000 km or 12 month (whichever comes first) engine oil service intervals for reduced workshop costs. A range of extended warranties are also available at additional cost. 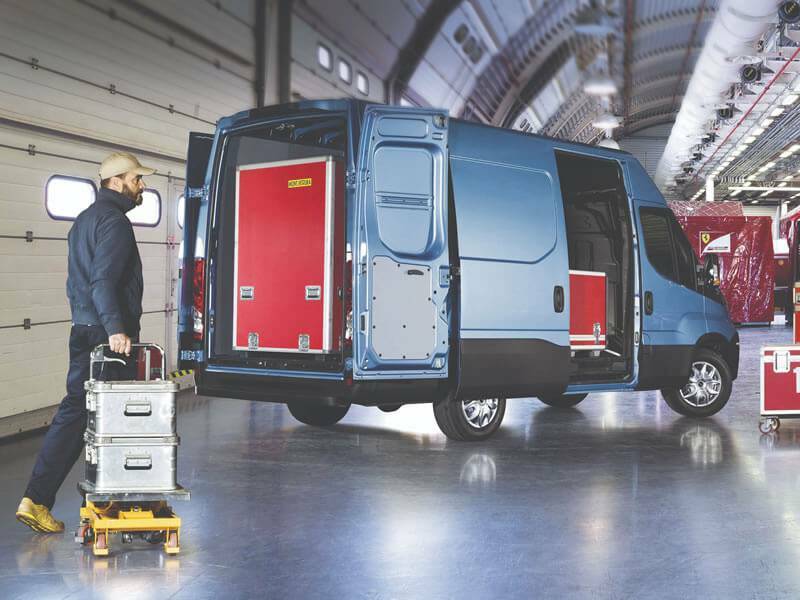 The latest Daily van models introduce several upgrade 'Pack' options, designed to allow customers to select a range of specifications more closely aligned to their application. Building on the Daily range's already generous list of standard features, prospective buyers can add to these by choosing from the 'Business Premium Pack', 'Comfort Pack' or 'Efficiency Pack'. Ideal for courier and pick-up and delivery work, particularly in metropolitan and urban environments, Business Premium further increases the functionality of the Daily as a workhorse and business tool. 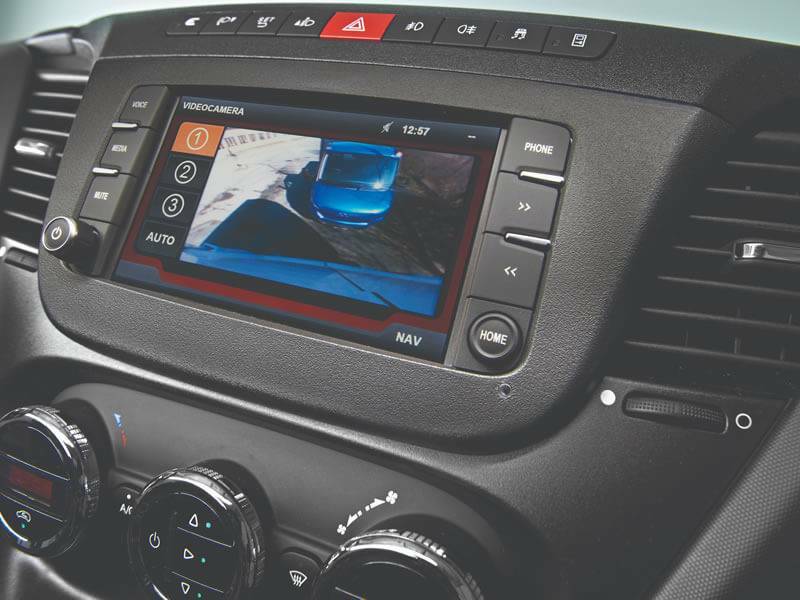 The pack includes items such as rear view camera, IVECONNECT multimedia system with GPS, reverse buzzer and integrated fog lights. With the Business Premium Pack selected, owners can then further up spec their Daily by adding either a Comfort or Efficiency Pack, or perhaps even both. 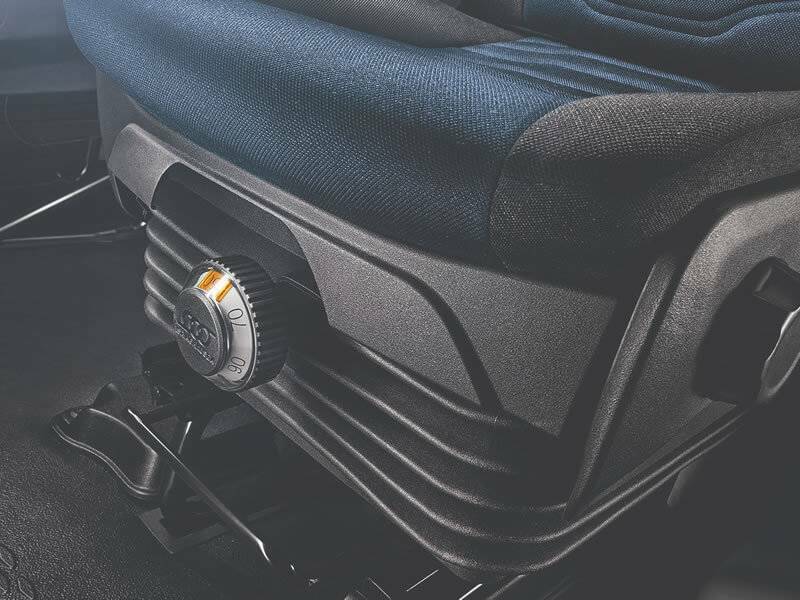 Owners who spend extended periods behind the wheel will appreciate the Comfort Pack, which adds an air-suspended and heated driver's seat with armrest, ensuring every drive is perfectly smooth even on rougher roads. 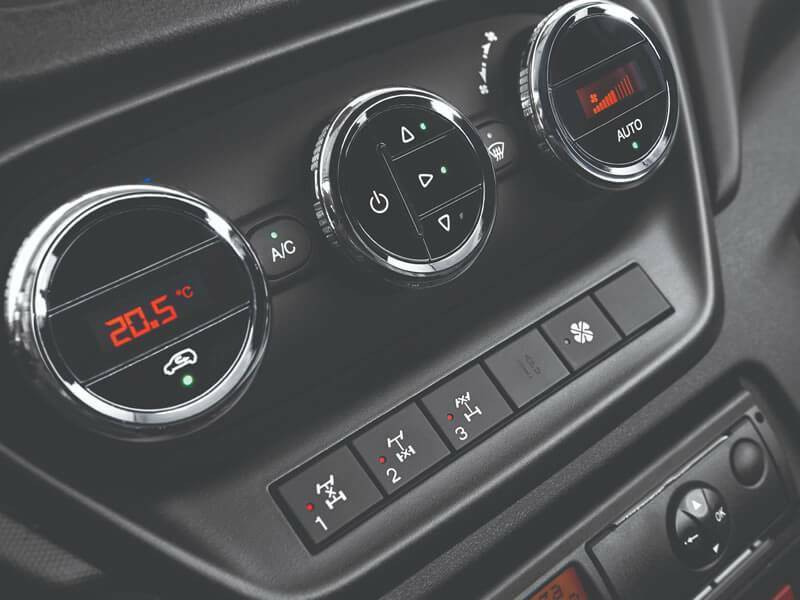 Other Comfort Pack appointments include an automatic climate control system which provides easy and accurate graduation of in-cabin temperature, creating an ideal driving environment. The third pack option targets efficiency and includes features that help further cut the cost of running a Daily van or cab chassis. The Efficiency Pack is available on selected models with both single and dual rear wheels, providing increased payload and allowing for optimum carrying capacity for those who require it. A feature of this Pack is the 'Ecoswitch' function. 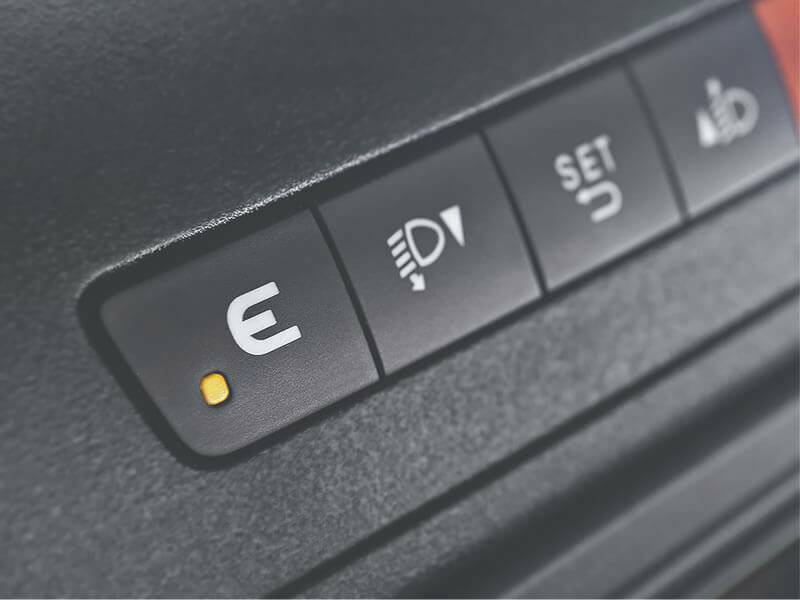 Designed for use primarily when the van/cab chassis is only lightly loaded or totally unladed, once pressed, the Ecoswitch reduces vehicle torque leading to reduced fuel consumption. 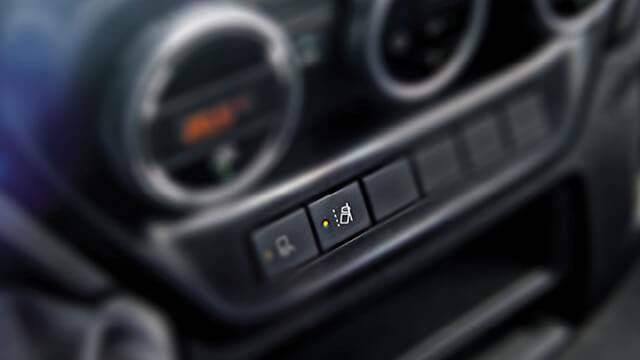 To further reduce fuel use, the Efficiency Pack also introduces start and stop technology (only available on 2.3 litre 35S variant) which automatically turns off the engine when the van comes to a halt and the clutch is disengaged - the engine then re-fires when the clutch is engaged and accelerator pressed. The start and stop function can be switched off at any time. 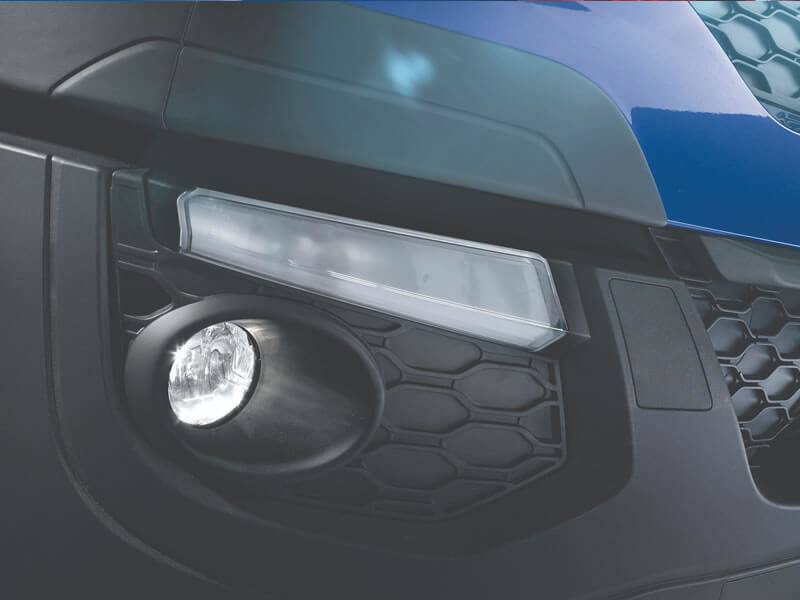 Also included is IVECO's new Lane Departure Warning System (LDWS), helping to keep drivers in their lanes and more safely on the way to their destinations. 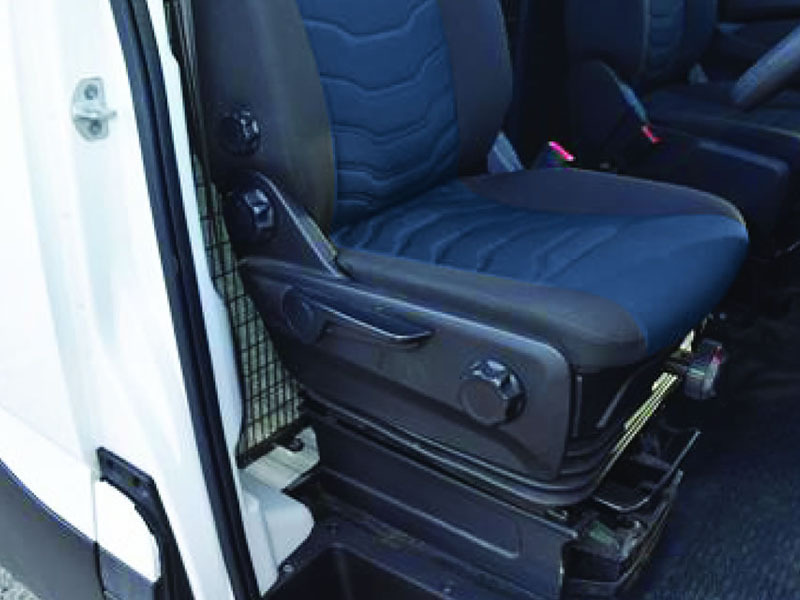 The new pack options allow buyers to more closely align their van specification with the application at hand and to enjoy the cost benefits of grouping several of these options. 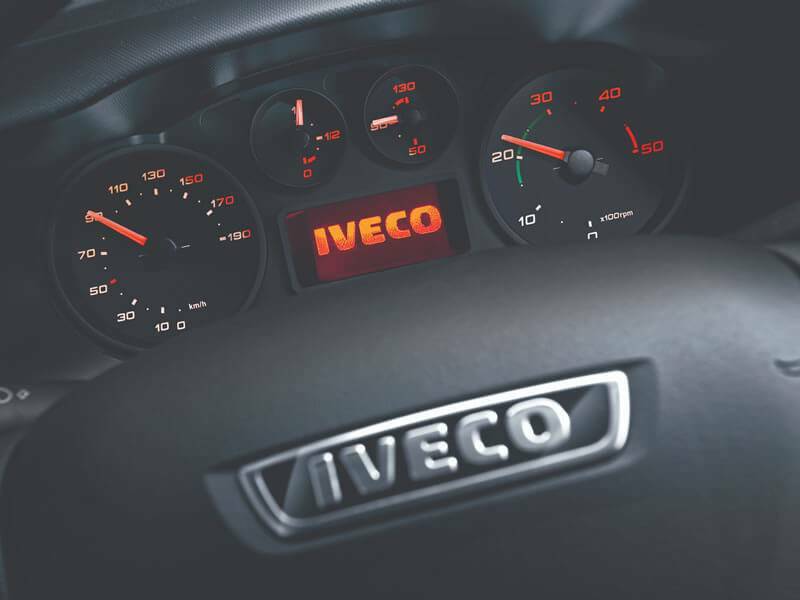 Some prospective buyers may prefer an entry level package that although is still well specified, doesn't have features that they might not want or need - IVECO can now better cater to these buyers and provide them Daily ownership at a lower price point. And those customers that do still want a full equipment list can have it via the various pack options. Owners still requiring more specific options beyond those grouped into the three Packs can continue to select from IVECO's extensive options lists, covering items including rear air suspension, rear differential lock, dual sliding doors, cargo area windows plus IVECO's market-leading 'Hi-Matic' 8-speed full automatic transmission. 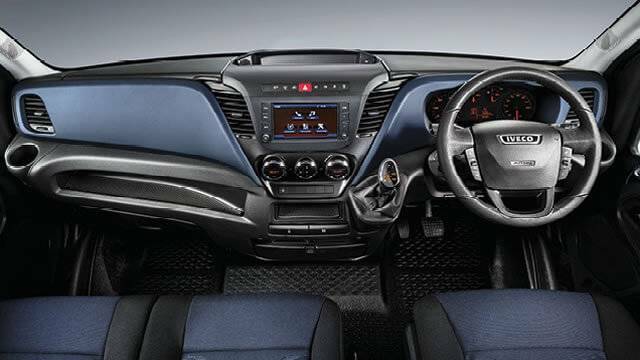 As standard, safety levels across all Daily models remain high with front and rear disc brakes with ABS, four airbags and the IVECO 'ESP 9' program which provides a package of 11 active safety features including Electronic Brake Force Distribution and Electronic Stability Program.